Enchiladas are my favorite dish to order at a Mexican restaurant, and I’ve tried (several times) to make a decent batch at home. Every aspect has always tasted delicious, except for the sauce. 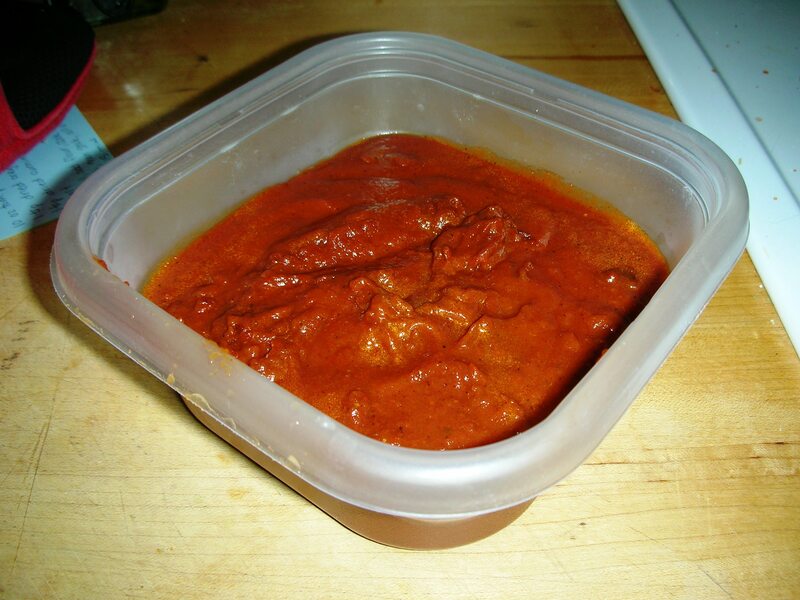 Pre-made enchilada sauce can often taste really…plasticky. I’ve read recipes online, but had ever actually tried them, as I figured they’d take too much time. Boy, was I wrong. This week I made a quick and easy mexican chicken dish that I found from Pinterest. This was the perfect sauce and consistency for the dish and I’m so glad that I (finally) went out on a limb and tried this. You won’t be disappointed. In a small saucepan, heat the oil. Add the flour & whisk together; cook for 1 min. Add chili & stock; mix together and cook for 1 min. Add all other ingredients. Bring to a boil, then reduce heat and simmer for 15 min. Serve immediately. Store the rest in the refrigerator, or freeze in a plastic container for another time. I used almost all organic ingredients for this sauce, and I feel that it showed in the flavor. If I can help it, I will never buy canned enchilada sauce ever again. It is extremely, extremely easy to make your own, and it tastes so much better!